A police officer receives dispatch information, with audible directions and the incident location clearly marked on a map. An incident commander keeps track of firefighter locations and vitals as they search a burning apartment building. An EMS crew submits a report without leaving their vehicle. Detectives watch streaming video of gang members loitering, while parked discreetly two blocks away. A deputy scans the plates of 300 parked cars in minutes – without slowing down. More and more first responders and field personnel are using their vehicle as an office. Aided by wireless broadband and motivated by the need to keep up with information and their workload, they perform more tasks in the vehicle, from report writing to video surveillance. This requires more than fast wireless broadband and the latest software – they also need a connected, powerful, rugged and ergonomic workstation that is designed for the challenges of their work day and the rigors of their environment. 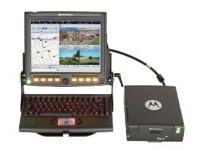 The fully rugged Motorola MW810 Mobile Workstation R2.0 provides reliable, cost-effective wireless connectivity and computing power for mission critical applications. MW810 R2.0 Central Processing Unit offers powerful computing options so you can support more applications and find answers faster. MW810 R2.0 offers a range of communications modules and expansion ports, supporting both wired and wireless peripherals. Optional Bluetooth module V2.1 plus EDR (Enhanced Data Rate). Available only with 12.1″ displays. 26 pin connector. 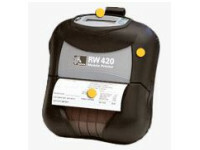 4 Programmable General Purpose I/Os can be set to input or output, working at 5V or vehicle battery voltage. Ignition sense input, plus vehicle speed and direction inputs (latter two for use with Dead Reckoning GPS). Configurable Output voltage (Battery voltage output to 5V) DC output (1A) for relay contact wetting voltage. MW810 R2.0 offers multiple expansion board options, so you can add more ports for external modems, video cameras, or other vehicle peripherals as needed. MW810 R2.0 is tough enough to thrive in extreme environmental conditions. 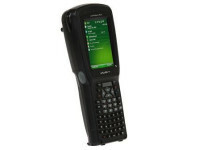 MW810 meets the most robust set of standards of any product in its class, including tests shown below as well as other Motorola-proprietary test methods; summary test reports available upon request. High Temperature: Storage MIL-STD-810G Method 501.5 Procedure I, Climatic Category A1 – Hot Dry (Table 501.5-III), induced (Storage and Transit) conditions, cyclic exposure from 33°C (91.4°F) to 72°C (161.6°F), Non-Operating. Also to 85°C (185°F) per Motorola 12M. ESD IEC EN61000-4-2. Motorola tests to 8 kV contact and 15 kV air, which is above required levels of 4 kV contact and 8 kV air. One internal PCI Express Mini Card slot allows for a Wireless Local Area Network option, plus two available wireless Wide Area Network slots, so you can stay in touch with remote applications via multiple networks. Our CPU with any WLAN option ships with three antenna connector ports. Antennae are sold separately, so customers may reuse existing MW antennae with proper connectors. WLAN Option Intel®Ultimate N WiFi Link 6300 (Quad-mode 802.11 a/b/g/n). Wi-Fi CERTIFIED®. 3 antenna ports available. WAN 1 Slot Options MC7750 LTE Band 13/3G module from Sierra Wireless. Supports either of the following based on firmware load: LTE Band 13, or CDMA IS-856 (1xEV-DO Revision A) and CDMA IS-2000 networks. Two antenna ports available. Additional WAN options will be available, and will vary by country; contact your local Motorola Solutions representative for details. WAN 2 Slot Options CPUs support dual-WAN radio board plus internal modem option supporting Band 14 (Public Safety) LTE. Two antenna ports available. Availability of factory option as well as field upgrade kit will vary by country; contact your local Motorola Solutions representative for details. Choose either the internal GPS receiver or internal Dead Reckoning GPS receiver to help pinpoint your vehicle location. Dead Reckoning option provides vehicle location assistance even where GPS reception is hindered. GPS Options SiRF IV Module option: supports NMEA 0183 (National Marine Electronics Association) protocol. Or Trimble Lassen iQ GPS Module option: supports NMEA 0183, TSIP (Trimble Standard Interface Protocol), TAIP (Trimble ASCII Interface Protocol), and DGPS (Differential Global Positioning System) protocols. Dead Reckoning GPS Option Sensor-based GPS Receiver, containing the U-Blox LEA 6R GPS positioning engine. Position output in NMEA 0183 (National Marine Electronics Association) and UBX (u-blox proprietary binary) protocols. Requires vehicle sensor signals for speed and direction – order an Auxiliary Cable accessory to connect CPU Aux Port to vehicle sensors. Fully operating in 12V and 24V car battery systems without converters, so you can install in a wider range of vehicles. 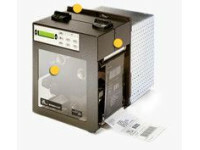 Can also be configured to operate using a 9V sustainable power source. Low voltage cranking support. Graceful shutdown at low voltage thresholds. MW810 R2.0 displays feature outstanding touchscreen capabilities, user programmable buttons, emergency button, and setting controls. MW810 R2.0 12.1″ Displays 12.1″ Standard Brightness (500 NIT) XGA, with RGB or DVI interfaces. Resistive tempered glass touchscreen. Contrast Ratio (CR) 1: 700. Viewing Angles H=160, V=160 at CR >10. 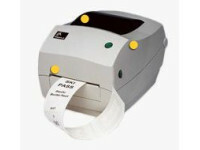 8 programmable buttons with backlit insets so you can custom label user functions. Speaker, 1W. 3 USB 2.0 ports (1 keyboard, 2 general use). 12.1″ High Brightness (1500 NIT) XGA, with RGB or DVI interfaces. Resistive tempered glass touchscreen. Contrast Ratio (CR) 1: 600. Viewing Angles H=160, V=140 at CR >10. MW810 8.4″ Display 8.4″ High Brightness (800 NIT) SVGA, with RGB or DVI interfaces. Resistive tempered glass touchscreen. Contrast ratio (CR) 1:450. Viewing Angles H=120, V=100 at CR >10. 6 programmable buttons with insets. Speaker, 1W. 2 USB 2.0 ports (1 keyboard, 1 general use). Embedded Reader Board USB. FIPS 201 Certified. MW810 R2.0 system components have been designed to be backwards-compatible with MW810 Series mounts. Mounting trunnion included with CPU purchase. Check existing display mounts to ensure compatibility with optional Smart Card Reader and USB ports on sides of 12.1″ displays. Contact your Motorola Solutions representative for details on accessories and vehicle mounting options. 3-Year Warranty is Standard; see User Guide for details. Additional coverage options are available. Contact your local Motorola Solutions representative for details.